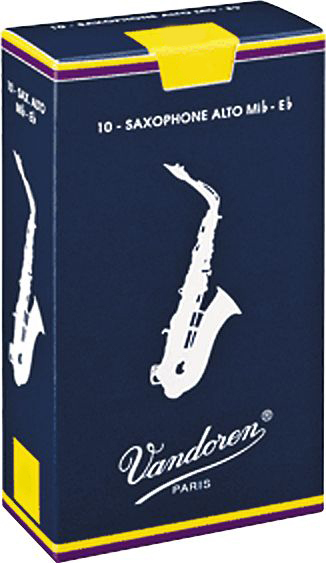 The Vandoren Traditional alto saxophone reed play is consistently responsive and wonderfully centered. Each Vandoren Traditional alto saxophone reed is cut from field-dried cane that is grown in the Var region of France. The traditional cut Vandoren alto saxophone reed features a French file cut and even tip. Box of 10.